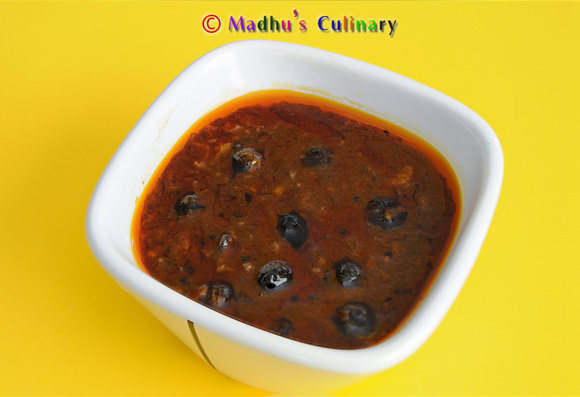 Sundakkai (Turkey Berry) Vathal Kuzhambu ->Suvayo Suvai | Simple Vegetarian Recipes, Easy to prepare and healthy to eat! Sundakkai (Turkey Berry) – A rich source of dietary fiber and vitamins which effectively eliminates stomach worms and improves digestive power. Soak the tamrind in warm water for approx 10 min. Mash the tamarind well and extract (filter) the water. 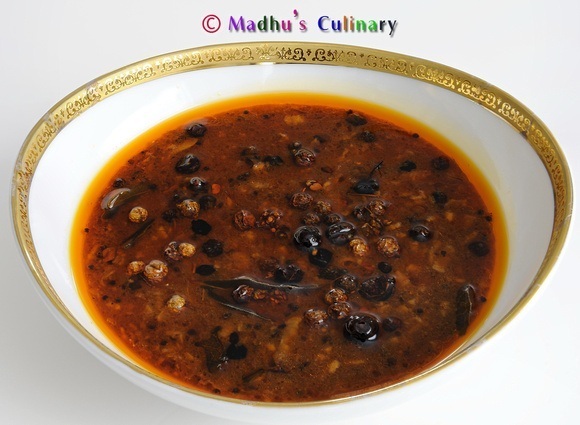 Take a kadai and heat the oil. Then add mustered seeds. 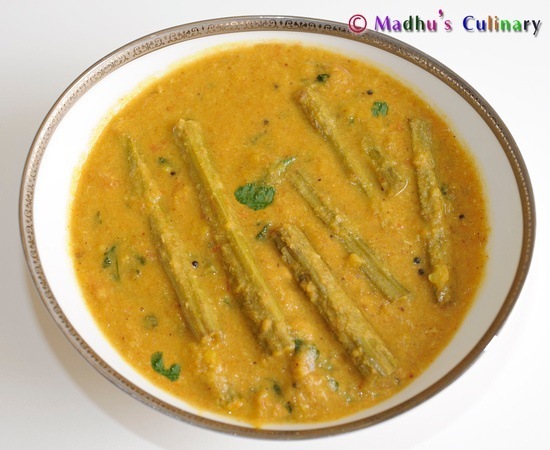 When it splutters add toor dal, fenugreek seeds and curryleaves and stir it well. Add Sundaikkai vathal fry until brownish black color. Make sure Sundaikkai vathal doesn’t burn. Cook it in the medium flame. 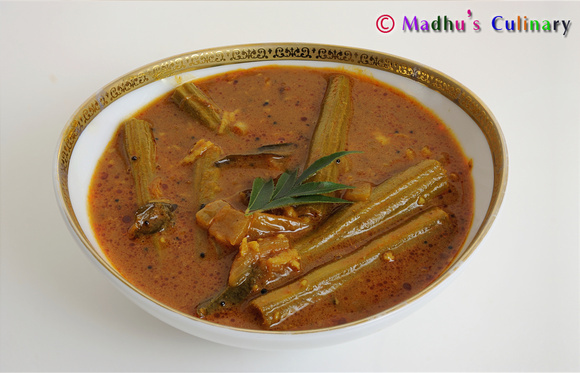 very mouthwatering and delicious recipe…can i make this with fresh sundakkai instead of the vathal..my husband doesn’t like the taste of vathal..
Pls describe the meaning of vathal….hw can we make sundaka vathal at home? Hi Ramya, Vathal is any vegetable that is sun-dried. To make Sundakkai Vathal here are the steps. 1. Soak Sundakkai in soar buttermilk (salt mixed) until the Sundakkai becomes soft (around 2 days). 2. Then squeeze the soaked Sundakkai from the mix and sun dry it until all the mositure is completely gone (this might require a couple of days). i have a doubt. why chilli powder is not used in sundakkai vathalkuzhambu, why we use sambar powder. 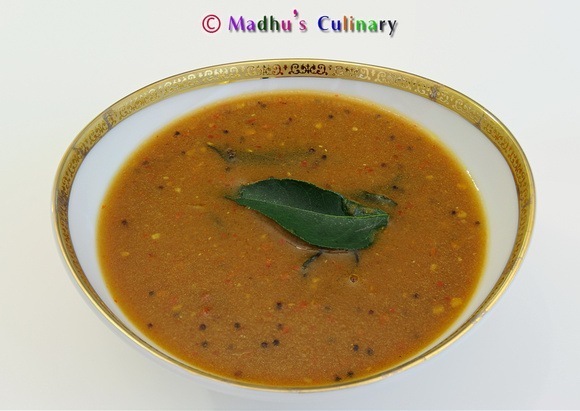 I used a home made Sambar powder which has the chilli and all the essential spices. If you are going to use the off-the shelf product, you can use Chilli powder, turmeric and dhaniya powder. 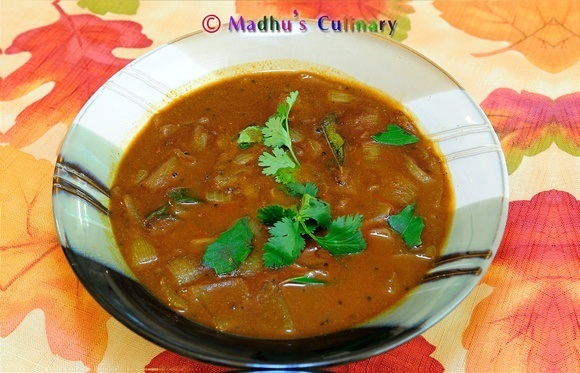 I will try to post a recipe for the homemade Sambar powder.